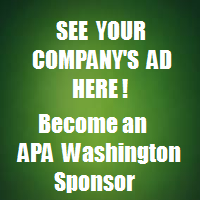 The American Planning Association-Washington Chapter (APA WA) and several of its sections have open positions in 2019. If you are interested in self-nominating or would like to nominate another planner, please do so by April 24th. Download APA’s Guidelines for writing a position statement.